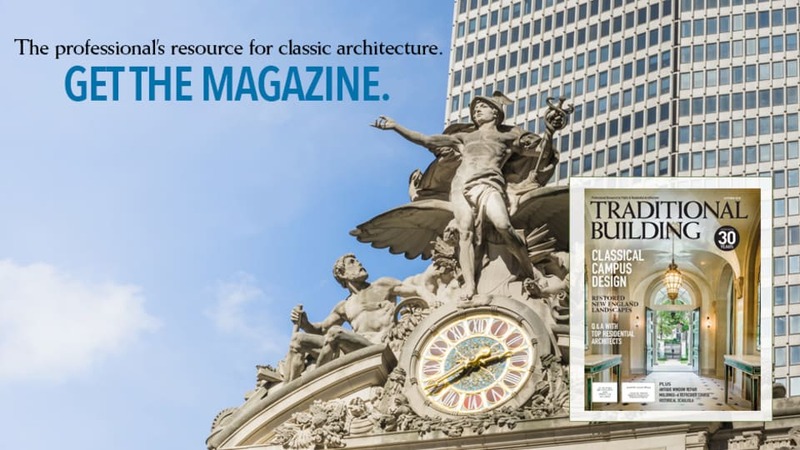 This issue marks Traditional Building&apos;s 25th year of publication. So it&apos;s appropriate to reflect on what&apos;s been accomplished since that October 1988 issue – and to set a goal for the future. Let&apos;s start with a brief look back. Originally, I had two objectives for Traditional Building (TB), based on concepts developed while running The Old-House Journal (OHJ). First was to make architects and other building arts professionals aware of the best in historical resources we had developed at OHJ. The second goal was to bridge the divide between preservation and new design and construction. 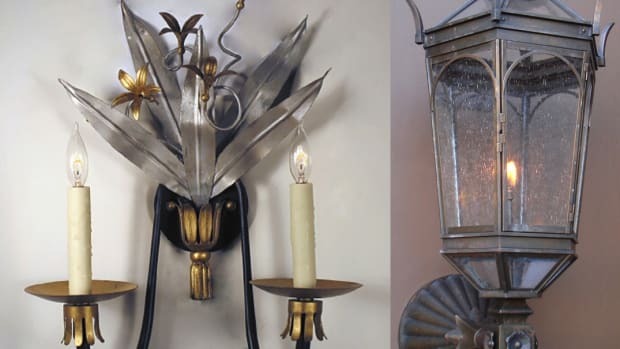 I was convinced that the increasing availability of historically appropriate products and services held great potential for traditionally inspired new design. No longer could designers and contractors tell clients: "They don&apos;t make that anymore." Showcasing Traditional Design – TB (along with Period Homes) continues to be virtually the only place where professionals and clients can find extensive coverage of the ideas and work of designers practicing contemporary traditional architecture. 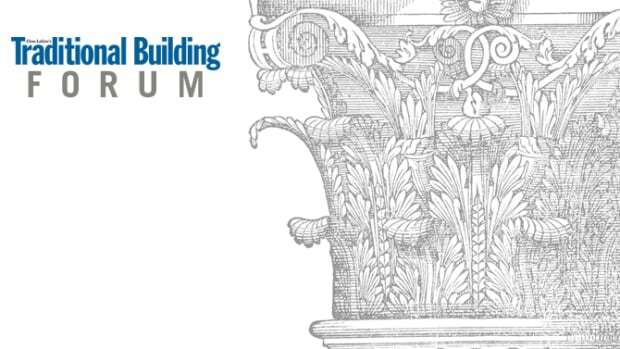 Supporting the Classical Revival – TB provided early fund-raising and publicity support in the 1990s when the Institute of Classical Architecture was just getting started. That support for ICAA continues to this day. Palladio Awards – Launched in 2002 (encouraged by the cheerleading of Pete Miller), the Palladio Awards program was the first national competition to honor recent projects that display excellence in traditional design. The Clem Labine Award – This unique award honors an individual whose record of personal service has fostered beauty and humanist values in the public realm. Rethinking The Secretary&apos;s Standards – For many years, TB has documented the mischief caused by misinterpretations of Standards #3 and #9 for additions to historic buildings and infill construction. Happily, the arguments for "compatibility" are gaining ground in the "contrast vs. compatibility" debate. Promoting Sensible Sustainability – TB has long maintained that the greenest building is one that&apos;s already built – and publishes procedures for historically sensitive retrofits to older buildings. The Profession Needs a TAG in the U.S. Looking ahead, the major challenge is overcoming the massive resistance to traditional design in the public realm. Work of the past decades has convinced the mainstream architectural establishment to accept restoration, renovation and adaptive reuse as respected, sanctioned activities. It&apos;s quite another matter, however, when it comes to new traditional design. In architectural competitions for public monuments and major institutions, the jury process is always arranged so that a Modernist design emerges as the winner. Current debates about architecture are ideological, not evidence-based. Having seized control of most architecture schools, Modernist-trained faculties indoctrinate students to believe that ornament is a crime and traditionalist architecture is "dishonest." Modernist sacred texts teach that design must be technology based and any historical reference is heresy. The primary mission is a never-ending quest for the "shock of the new" – often taken to absurd extremes. The unhappy reality is that Modernist theory has assumed the status of religious orthodoxy within the architectural establishment. So many architects and institutions have bought into the ideology of Modernism that they can&apos;t afford to question its underlying assumptions. And thus today, we find the public realm littered with bizarre, alienating buildings and sculpture. The prevailing attitude in the architectural profession is epitomized by the American Institute of Architects, which proclaims itself "the voice of the architecture profession." And indeed, showing that preservation is now a sanctioned activity, one of AIA&apos;s "knowledge communities" is its Historic Resources Committee, comprised of some of the country&apos;s leading preservation architects. It&apos;s a different story, however, when it comes to AIA&apos;s dismissive attitude towards traditional new design. Nowhere is this more evident than in the list of architects who have been awarded AIA&apos;s Gold Medal in the past 30 years. Typical is Thom Mayne, the 2013 Gold Medal winner, whose anarchic buildings are emblematic of Modernism&apos;s desire to glorify the sensational and iconoclastic for its own sake. Strangely, an institution you&apos;d expect to be even more rigidly Modernist – the Royal Institute of British Architects (RIBA) – has a somewhat more indulgent attitude toward traditional design. The RIBA has long championed the work of starchitects like Norman Foster and Richard Rogers, defending their work against the criticisms of Prince Charles and others. Nevertheless, the RIBA sanctions the Traditional Architecture Group (TAG) as a linked society of the RIBA. (Check out the TAG website at www.traditionalarchitecture.co.uk.) In its own words, TAG "is committed to developing the values established by long tradition and adapting them to the modern world. Traditionalism looks to the past only to see the future more clearly. Traditionalism is the solid, viable, long-term future for architecture." The RIBA, even though Modernist at its core, is at least willing to admit there is an alternative. Modernism believes that architecture should express the realities of technology. Traditionalists believe that architecture should express the ideals of beauty and humane values embodied in 2,500 years of architectural tradition. The challenge going forward is to get Traditionalism established as a sanctioned, valid option – on an equal footing with Modernism – within the architectural establishment and among taste-making institutional clients. A good start would be to establish a TAG within the AIA. Failing that, there should be a stand-alone professional organization, perhaps an expansion of the Institute of Classical Architecture & Art (ICAA). But one way or another it should – and can – be done; preserving some sense of coherence and humanity in our built environment demands it. Clem Labine is the founding editor of The Old-House Journal, Traditional Building and Period Homes magazines. He also launched the Palladio Awards program in 2002 and the Clem Labine Award in 2009 and is the recipient of numerous awards including the Arthur Ross Award, the Harley J. McKee Award, and most recently, the Newington Cropsey Award. Labine was a founding Board Member of the Institute of Classical Architecture & Art, and served in an active capacity until 2005, when he moved to Board Emeritus status. He is also currently Editor Emeritus of Traditional Building and Period Homes. The relation between architectural style and politics has always been complicated.